Partnerships Archives | Boyle Software, Inc.
Did you know Boyle Software is a Shopify Partner? As a partner, we can do so much with this popular ecommerce platform: create and publish our own themes and Shopify apps; access unlimited development stores to continuously build our Shopify expertise; preview information about upcoming releases to best prepare for new features. 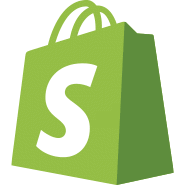 We’re proud to be in the program, and we believe that Shopify can be a fantastic solution for many types of sites! dmexco (the Digital Marketing Exposition & Conference) – one of the biggest conventions of its kind in Europe – will be taking place in Cologne, Germany, on September 14th and 15th. Again this year the conference will be featuring a major showcase from our partner CoreMedia. We want to give a happy shout out and hearty congratulations to our friend Donna Williams of Field Goods who is featured in a great article this week on the Modern Farmer website. Entitled “How Regional Food Hubs Shrink the Path from Farm to Fridge,” the piece does a nice job of describing the fertile landscape of “food hubs” in which she is working – closing the gap between small farmers and consumers up and down the Hudson Valley – and now into Connecticut! On Aug 10, 2015 the Google folks announced a major change in their corporate holding structure. Fascinating. 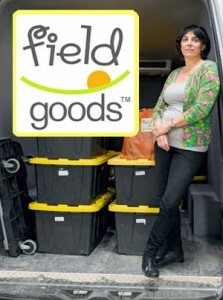 We would like to salute our client and partner Field Goods! They have just been awarded a $50,000 federal grant to assist in developing the next generation of their innovative platform, using smart technology in new ways to bring together New York state farmers and local Hudson Valley consumers. From Schenectady to Yonkers, Field Goods links the Empire State’s food producers directly into groups of subscribing consumers who each get a weekly mix of local produce, the freshest fruits and vegetables. Long-running Boyle Software client Thumbplay announced a significant deal with MTV today. Thumbplay announced that it is working with MTV to enhance and manage its mobile personalization offerings for MTV, MTV2, MTV Hits, MTV Jams and MTV Tr3s. Direct Group North America (DGNA) is home to household brands such as “Book-of-the-Month Club” and “Columbia House”.